President Hassan Rouhani's chief campaign manager in Iran's Kurdistan Province was subjected to intimidation tactics while being questioned by Intelligence Ministry agents about his peaceful efforts to include Sunni Muslims in the government. A source close to Jalal Jalalizadeh told the Center for Human Rights in Iran (CHRI) that the former member of Iran's Parliament was summoned to a meeting at a hotel in Tehran on November 8, 2017, and questioned for hours. "They told him he was invited, not summoned, to meet them at Hotel Laleh," said the source, who asked not to be identified for security reasons. "But Mr. Jalalizadeh was treated in a rough and humiliating way and told to be quiet and take care of his family now that the elections have ended." 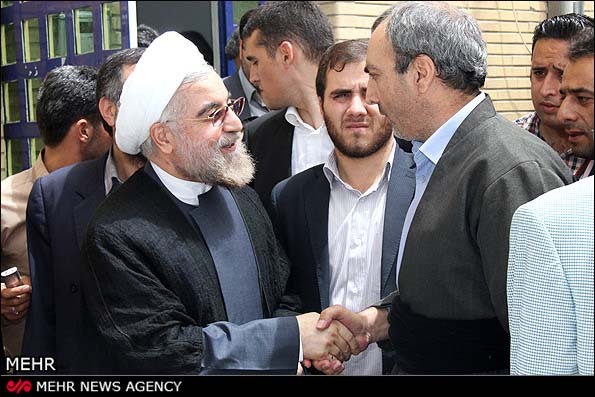 A central committee member of the reformist Islamic Solidarity Party of Iran, Jalalizadeh headed Rouhani's campaign headquarters in Sanandaj, Kurdistan Province, during the May 2017 presidential election. A Sunni Muslim ethnic Kurd, he represented the people of Sanandaj in the 2000-04 parliamentary session. "Since 2004, Mr. Jalalizadeh has been summoned every so often by the Intelligence Ministry, but he never publicly spoke about it," said the source. "After the  elections, he was a member of a committee that followed up on Mr. Rouhani's campaign promises; many active Kurdish groups are represented in the committee. The Intelligence Ministry summoned him several times and told him to shut it down." The source continued: "They accused him of writing articles and making speeches full of poisonous, destructive criticism. They are very angry with his writings and interviews about Kurdish affairs, especially his insistence on appointing Sunni officials to top government positions, such as provincial governors and ministers." "Specifically, Mr. Jalalizadeh, along with a group of Kurdish politicians, went to Qom and met with [senior Shia theologian] Ayatollah Makarem Shirazi to discuss their demands," added the source. In an interview with CHRI in September 2017, Jalalizadeh criticized Rouhani for not appointing Sunnis to his second-term cabinet. "The Sunnis have taken part in these elections without any expectations, but it is unfortunate that reformists forget them after winning," he said. "A quarter of the people who voted for Mr. Rouhani were Sunnis, but no one appreciated the significance," added Jalalizadeh. "He could have at least appointed a Sunni to head one of the ministries. Or named a few Sunni ambassadors or deputy ministers."